Young Stormi Jenner is the 5-month-old daughter of the wealthiest KarJenner sister, and her next-level sneaker collection shows she’s living her best baby luxe life! 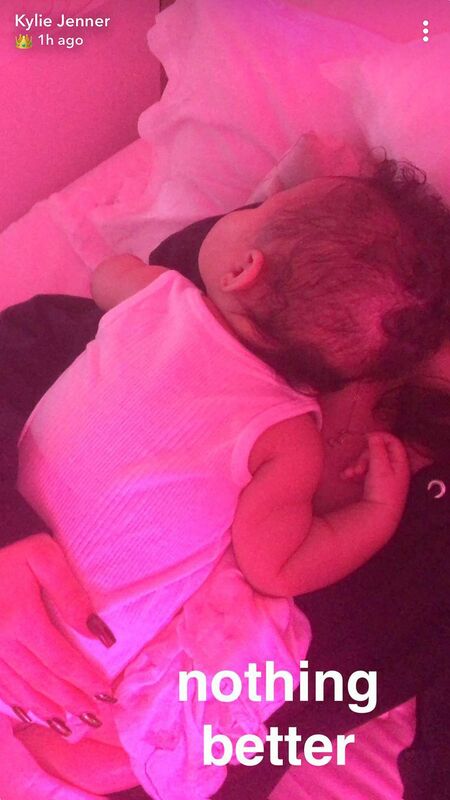 Stormi is Kylie’s baby with musician Travis Scott. She was born back in February after a very secretive pregnancy, but Kylie’s more than made up for those covert times with plenty of news about her baby’s progress. This week, she shared a sneak peek at her daughter’s closet and honestly it was enough to make a sneaker freaker weep tears of joy. As Kylie pans over the cutest kick collection in the history of cute kick collections, it’s clear that Stormi’s completely across the comfy shoe thing. There are tiny pairs from Nike, Giuseppe Zanotti, Gucci – and Marie Claire are estimating the value of Stormi’s shoes at around US$22 000! Yowzers. Kylie also shared some photos of her wee baby on Snapchat this week, the first since she removed all shots featuring her baby’s face a few weeks ago, after feeling worried for her safety. It seems that – horrendous kidnap threats aside – Kylie’s settled so easily into her new mum life that her sisters are tapping into her intel. Kim explained that having babies has drawn the sisters together in new ways – and that they support each other wholeheartedly – especially now that Khloe has returned from Cleveland to live in LA where the clan are based. “I think we’re even closer now because Kourtney and I, even if we do disagree on some parenting tips, we’ll discuss them thoroughly and we respect each other’s rules, but we pick up the slack for each other too,” the mum-of-three noted.